It's a desaturated kind of day. I am not sure why, maybe because I've been on the run all day and I want a little calm and clarity. Because there have been so many distractions that despite my constant movement there seems to be a inordinately small amount of accomplishment. Don't get me wrong, a lot happened and it was all addressed properly but it has been a day of rushing from one appointment to another. 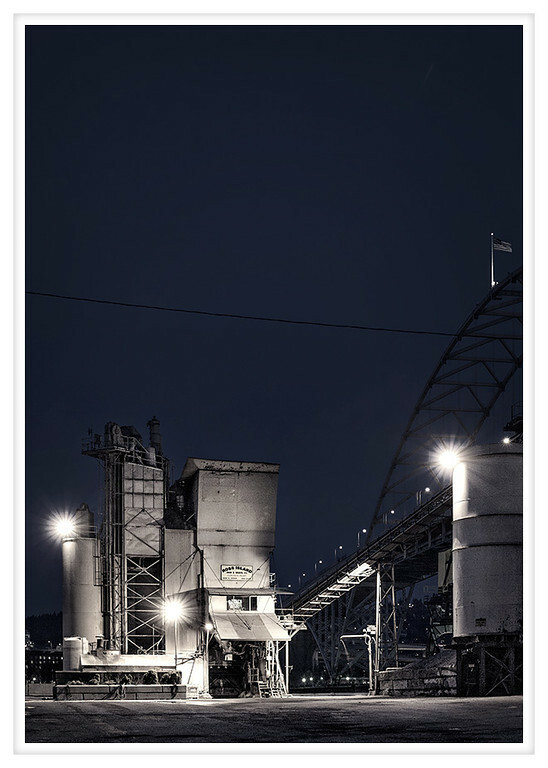 I took this picture in a spring time exploration of North Portland's industrial waterfront. There are so many pockets of heavy industry with many little circuitous roads to access them that one needs the spirit of adventure on their shoulder. Some places are devoid of interest and filled with generic and soulless warehouses and others are like this, old but well maintained. I am so happy for the shorter days, it's time to hit the road again soon.